Stock was the first school in Illinois to implement the blended model of instruction. 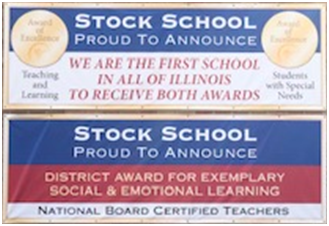 Stock is also the first to hold two Early Childhood Awards of Excellence from the state of Illinois. One for Inclusion of Students with Special Needs, and another for Teaching and Learning. Stock also holds the status of Exemplary Supportive School, the highest designation given to schools with superior social and emotional learning supports. Stock uses a play based, team teaching approach to maximize the potential of all students. 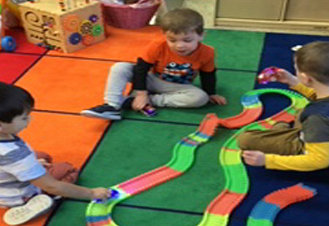 The goal of the Chicago Early Learning blended program is to emphasize that every experience and interaction in high quality preschool is intentional, and will prepare students for future learning. 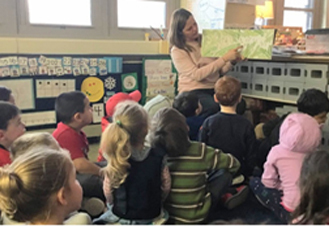 We advance student learning and social / emotional growth through interactive play, small and large group learning, and hands-on, environmental learning. Stock is committed to providing inclusive and differentiated programs that nurture and support all of our students. All students with special needs will be engaged in academics, social / emotional and therapeutic services utilizing the classroom-based team approach. Students with disabilities are included in all school activities with their typically developing peers. Stockapalooza is our school's annual premiere fundraising event. 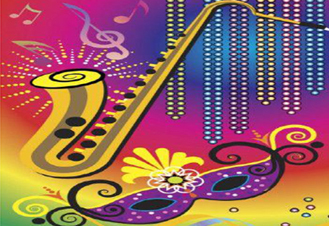 It is an enjoyable evening of food, auctions, raffles, and fun all benefiting Stock School's Chime Music Program and Enrichment Events. Current parents, alumni parents, school staff and community members are all encouraged and welcome to attend.